Magnesium is an essential dietary mineral found in generous amounts in green leafy vegetables such as spinach, nuts and seeds such as almonds and pumpkin seeds and several other foods. Having a sufficient intake from food sources and dietary supplements contributes to stronger bones, a healthy heart, good blood circulation, regulates heart rhythm, ensures an overall good muscle function and nerve health and supports mental health. But not all magnesium is the same. Some forms of the nutrient are actually better absorbed than others. The amount of magnesium we absorb from one form or another dictates just how good the respective form of the mineral is for us. Naturally, we should go for the best forms, meaning those our body absorbs the most of. While we only take in 10 or 20% of most forms of magnesium, others may have an absorption rate of 50 or 60%, making them superior in quality and more likely to improve our health. So choosing the best form of magnesium in order to ensure the highest absorption rate possible is important if we want to enjoy all the health benefits of the mineral. We take magnesium for muscle cramps and spasms (leg cramps and twitching, eyelid twitching), to increase the absorption of calcium in bones and help create new bone, help with palpitations, get rid of extrasystoles and other cardiovascular manifestations, relieve insomnia and sleep better, improve mood and so many other symptoms and complaints. But despite its apparently minor health effects, magnesium is an essential nutrient with a powerful impact on the nervous, cardiovascular, muscular and even digestive system as well as mental health. Research shows it is involved in over 350 chemical reactions within the human body and its presence is crucial for basic cellular processes. Magnesium deficiency has been shown to contribute to or accentuate conditions such as fibromyalgia, cardiovascular disease, osteoporosis, diabetes, anxiety, depression and chronic fatigue syndrome. Intensive agricultural practices depleting our soil of essential nutrients which, in turn, leave food less nutritious than it used to be, taking antacids, proton pump inhibitors and other stomach medicines that reduce stomach acidity (in order to improve gastroesophageal reflux disease and gastritis), taking antidepressants or diuretics, suffering from malabsorption problems and other digestive conditions or enjoying a bad diet can all reduce our body’s magnesium reserves with unfortunate side effects for multiple systems and organs. Not to mention that stress, sleep deprivation, manual labor, practicing a sport, studying and existing health issues such as anxiety, depression, high blood pressure, extrasystoles, palpitations etc. often increase demands of the mineral. 1) The amount of magnesium your body can physically absorb is different from person to person (for example, existing malabsorption problems reduce absorption). 2) Then there is competitiveness of other nutrients: calcium, copper, iron, manganese, phosphorus may compete with and reduce magnesium absorption. 3) Some nutrients increase or facilitate magnesium absorption (vitamin D is believed to help increase absorption). 4) Dietary and lifestyle factors matter (alcohol, coffee and caffeine-rich foods or beverages such as green tea or dark chocolate can deplete our magnesium reserves, soft drinks too). 5) Cooking practices matter (soaking grains makes their nutrients more bioavailable, cooking certain foods reduces their oxalic acid content because oxalic acid reduces nutrient absorption in the gastrointesinal tract). 6) Unusually increased demands of the mineral, caused by stress or disease, paired with an insufficient intake are enough to produce a deficiency. 1) Magnesium oxide. This form is often prescribed for the treatment of duodenal and gastric ulcers, indigestion and gastroesophageal reflux due to its basic nature. It is also a strong laxative, hence its use for relieving constipation. However, taking too much can result in diarrhea and digestive upset. Magnesium oxide has a very poor gastrointestinal absorption rate, in certain individuals being significantly lower than 10% (usually 4%). Surprisingly, many multivitamin and multimineral complex supplements contain this very form of magnesium. 2) Magnesium sulfate. This particular form of magnesium is generally for intravenous use and for stopping preterm labor. It can be absorbed, to a certain extent, through the skin and is also the main ingredient in Epsom bath salts. These salts are added to bath water for the magnesium to be absorbed through the skin and help ease arthritis pain, muscle aches and stiff and swollen joints (read more about what foods to eat and to avoid for arthritis). Magnesium sulfate typically has a very low absorption rate. 3) Magnesium citrate. Magnesium citrate has a higher absorption rate than both magnesium oxide and magnesium sulfate and is suggested to be one of the best forms of the mineral in terms of bioavailability. From my experience, it is a great form of magnesium, quickly absorbed and with fast and visible effects. It is found in the famous Italian magnesium and potassium dietary supplement Polase. One aspect I’ve noticed when taking this type of magnesium is its effects are not as long-lasting compared to other forms with similarly high bioavailability. 4) Magnesium chloride. This particular form is actually better absorbed by the body than magnesium oxide and is not as strong a laxative as magnesium sulfate, but does loosen stools when taken in larger amounts. Because chloride is involved in the production of hydrochloric acid and thus influences digestion and nutrient absorption, it is believed to be a great option for people who do not produce sufficient stomach acid. Not having sufficient stomach acid means that we don’t digest food as we should, so we don’t absorb as much of nutrients from food either. 5) Magnesium carbonate. The consensus is that magnesium carbonate has one of the lowest absorption rate of all forms, thus being one of the cheapest and least helpful options when looking to prevent or correct a deficiency. It is estimated that it has an absorption rate of less than 10%, though some studies suggest its bioavailability may be as high as 20%. Overall, it is not the best form and exhibits laxative properties when taken in large amounts or over prolonged periods of time. It does however make a great antacid. Learn more about what foods to eat and to avoid for acid reflux. Despite its low absorption rate, I have taken magnesium carbonate supplements (150 mg or 300 mg magnesium dose a day) and experienced great results. I experienced an almost instant feeling of calm and visibly reduced anxiety (also see my favorite 9 surprising anti-anxiety herbal remedies). In all honesty, this magnesium is good for nerves when taken in 150 mg or 300 mg dose. These amounts of magnesium carbonate are also great for muscle cramps and spasms. 6) Magnesium aspartate. With a high bioavailability, it is a great form of the mineral. Magnesium aspartate has been used together with potassium for improving and treating chronic fatigue syndrome. There have been warnings against the use of this particular form due to the fact that it is a synthetic product and may engender neurotoxicity, but even in such cases specific conditions (example: extremely high intakes) have to be met. In my experience, magnesium aspartate is one of the best forms, with almost immediate results and long-lasting beneficial effects. For some time now I have been taking a Romanian brand called Aspacardin – it contains magnesium aspartate and potassium aspartate in small amounts. Actually, the amounts of magnesium and potassium this particular supplement contains are not even close to the recommended daily intakes for an average adult and yet produce visible effects and great health benefits (and I’ve taken the minimum recommended amount). From the first week I have noticed a significant improvement in sleep quality and mood. If find this particular magnesium and potassium supplement great for when you’re in extremely stressful situations because it helps you maintain your calm and enjoy clear thinking, reducing stress and anxiety symptoms. While on it, I no longer got palpitations or extrasystoles (see what extrasystoles are) and have enjoyed steady blood pressure numbers (I suffer from low blood pressure). Also, because I’ve had severe problems with excess stomach acidity (acid reflux) and developed malabsorption issues due to prolonged use of antacids and proton pump inhibitors, I have found great relief in this supplement because it has helped me sleep better, wake up better rested both mentally and physically (no more muscle stiffness) and enjoy excellent energy levels as a result. Because of its beneficial effects on blood pressure levels, this potassium and magnesium supplement has helped me no longer experience fainting sensations when standing. Honestly, it has done wonders for me and, after taking it for about a year on and off, mostly during more stressful periods of time and at night (really great for sleep), I have noticed I am feeling good even when I am off it. 7) Magnesium gluconate. Magnesium gluconate is believed to be a great choice for correcting magnesium deficiencies. In the right conditions, this form may have a higher bioavailability than citrate. Magnesium gluconate may cause diarrhea when taken in high doses. Also, the gluconic acid with which magnesium is paired is believed to contribute to higher energy levels due to its involvement in glucose (blood sugar) metabolism. 8) Magnesium glycinate. This form combines glycine, an amino acid and neurotransmitter with inhibitory action on the central nervous system with magnesium. This particular form has a sedative effect on the nervous system, induces relaxation and is known to help improve sleep quality and treat insomnia. It holds therapeutic effects for muscle aches and cramps and chronic fatigue syndrome. It lacks the laxative properties of other forms such as magnesium oxide. However, some people have reported magnesium glycinate may have stimulant effects in certain doses and may thus alter normal sleep patterns. 9) Magnesium malate. 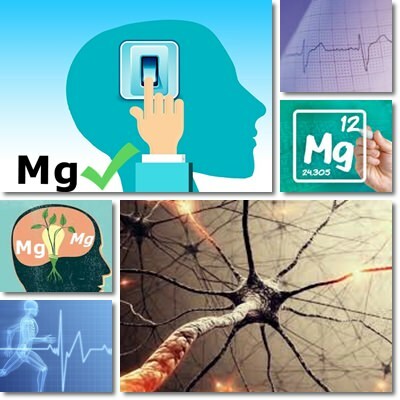 Preliminary studies suggest magnesium malate may prove useful in treating fibromyalgia pain. It generally has a good absorption rate, but it is not as efficient as magnesium citrate or aspartate. There have been reports of it causing loose stools and stomach upset. Magnesium malate may hold antimicrobial properties and increase saliva production. 10) Magnesium lactate. Magnesium lactate has a moderately good absorption rate and though it is superior to the oxide and sulfate forms and well tolerated, it is not the most efficient formula. This form is estimated to have a bioavailability of over 10%. Common side effects of taking large doses or prolonged use include digestive discomfort, bloating, flatulence and diarrhea (see what to eat when you have diarrhea). 11) Magnesium taurate. Taurine is found naturally in the bile and other parts of the digestive system of animals. Magnesium taurate is a magnesium salt of taurine. This particular form is suggested to contribute to improved muscle function, hence its cardiovascular benefits (improving the force of heart contractions) and induce relaxation due to taurine’s inhibitory effects on the nervous system. 12) Magnesium orotate. In addition to a good absorption rate, magnesium orotate contributes to increasing resistance to physical exercise and improving heart health, mainly because it is easily taken in the bloodstream. Just like magnesium taurate, it has a beneficial action when it comes to heart failure. However, animal research suggests that large doses of around 100 mg per kg per day may encourage tumour formation. This form is also more pricey than others, making it less desirable than citrate or aspartate, despite its relatively high bioavailability. 13) Magnesium pidolate (picolinate). Magnesium pidolate has a good absorption rate and is well tolerated by the human body. It is mainly recommended for treating hypomagnesemia (low levels of magnesium) and counteracting a potential deficiency. This form has also been investigated as a potential treatment for sickle cell anemia. 14) Magnesium-L-threonate. This particular type of magnesium has been shown to have a high absorption rate and good bioavailability. What makes it a good form is the fact that it can easily enter cells and tissues and cross the blood-brain barrier to exert its health effects, particularly support cognitive functions. Moreover, it does not have laxative properties. However, because of its low content of magnesium per dose, it might not be sufficient to correct deficiencies. Important. Magnesium stearate is not a dietary mineral, but a sort of additive. Conclusion. When it comes to magnesium, absorption rates matter. We might be taking a 300 mg or 400 mg daily dose of magnesium to meet our demands, yet absorb less than 10% and still have a deficiency, despite taking supplements. Similarly, we might be taking a good form of magnesium and absorb most of it, enjoying a visible reduction of magnesium deficiency symptoms and an overall improved health. While other factors need to be taken into account as well, the form of magnesium we choose and its bioavailability and absorption rate do have a significant impact on our health. I really appreciate this run down of the different forms of magnesium; as it is difficult to know which is the most effective. My Dr. wanted me to stop my use of the magnesium-potassium aspartate for my osteoporosis. I do take calcium Citrate and D3 also. So I questioned her advice and wanted to know exactly what form of magnesium to take (if any) with my calcium for my bones (I’m 76) which I’ve been taking for a number of years. It does help with the leg cramps, sleep and keeps me “on the go”. She wants me to take a Bisphosphonate med (IV) and I would really not want to but to keep with my supplements. This web site has helped me make up my mind. Hello, Laurie. I am so happy you found useful information in the article. Indeed, magnesium does wonders. I have been taking magnesium aspartate mostly and sometimes carbonate for several years now because it helps me sleep better, I have no more leg cramps or eyelid twitching, it has helped me with my anxiety, makes me calmer and reduces stress. I also take potassium aspartate for my low blood pressure. If you feel good with the supplements and wish to continue, then I am sure your doctor could give you more information on the subject, especially on how to take the minerals and in what amounts to get an optimal absorption rate. 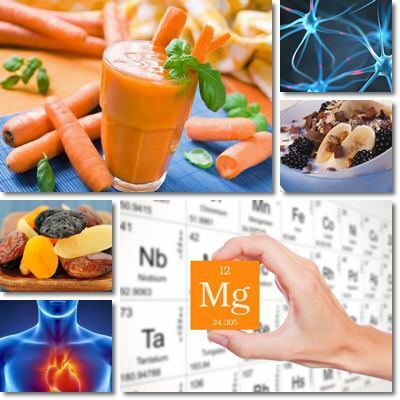 1) Magnesium and calcium taken in large amounts compete with each other for absorption. Some experts recommend taking half of your magnesium and calcium supplements in the morning and half in the second part of the day. Others recommend taking one and then the other after several hours. 2) Vitamin D is a fat soluble vitamin so to increase absorption it needs to be taken with fats. Eating some avocado, a steak, bruschetta with olive oil, some cheese, milk, butter, nuts or seeds could help with absorption. 3) Vitamin D absorption could be reduced by a high intake of other fat-soluble vitamins (A, E and K). It is recommended to take fat-soluble vitamins several hours apart from each other. 4) Since vitamin D can negatively impact the production of melatonin, the sleep hormone, it is best taken in the morning with a hearty breakfast that provides some fat to help absorb it. Please run this information by your doctor and ask her if she thinks you can benefit from it. Wishing you lots of health. Hi, I tried Magnesium Oxide but it hurts my stomach. Can I take it with some kind of alkaline food/juice to reduce too much acid in my stomach. I take it for irregular heart beats and restless leg syndrome. Magnesium Malate or Pidolate could help? Hello, Apostolos. Well, fruit juices cause and worsen stomach acidity, especially if you have an existing GERD. It would be better with food and water (the food is to prevent stomach acidity, while the water is to help with magnesium absorption). 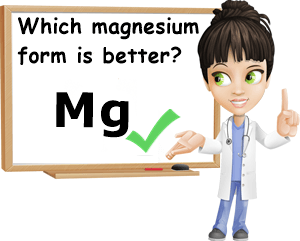 It’s a good idea to try other forms of magnesium as well and see how you respond to them (see which is more effective, which doesn’t cause side effects). Feel free to try magnesium malate, pidolate or other forms until you find the best one for you. Personally, I have had great result with magnesium carbonate, even though it is theoretically not the best form of magnesium. It has worked great for my muscle cramps and sleep problems. It’s good to remember that if you experience any kind of side effects from any supplement, it is best to discontinue it and look for better alternatives. Also, it’s important to read the product label and see if there are any other active ingredients besides the magnesium. It is possible those other ingredients may elicit side effects, not just that form of magnesium. And this way you can avoid them in the future too. As for the stomach acidity, if it’s occurring only occasionally, you can treat it with antacids. But if it’s a regular occurrence (you experience stomach acidity more than 2-3 times a week every week), then it’s probably best to consider some dietary changes to help you treat it for good. See my article on what foods to eat and to avoid for acid reflux. Hello thank you so much for this information where is the best site to purchase this mag Glycinate cannot order on USA site as Greece charges double cost in import tax, is it available from amazon ? Hello Apostolos are you in Greece where do you get you mag from? Hello, I read this article on the variety of Magnesium and my comment and question , is what would you recommend or suggest for 60 plus active male on statin ( Crestor ) the type of Magnesium to lean towards purchasing and the dosage amount ? In addition what other Supplement to aid in the process this mineral in the system. Well, I’m not recommending you any form in particular or dosage because that’s something you have to talk to your doctor about. Not to mention I don’t know what magnesium products are available in your country/area. Like it says in the article, some forms have a higher absorption rate than others and this is a factor that can help guide you in your choice, depending on your individual nutritional requirements. What I can tell you is that the recommended daily intake of magnesium for an average adult (male) over 30 is 420 mg. More exactly, this is how much magnesium the average adult (male) over 30 should get every day so they don’t experience a deficiency and associated side effects. Now, being active means your daily intakes may potentially increase especially since perspiration causes loss of electrolytes such as magnesium. Stress may increase magnesium requirements too. With this information in mind, talk to your doctor and choose the best form and dosage for you. Also, know that you don’t need other supplements to absorb the magnesium. But if you are looking to treat or manage a particular condition, then more than one nutrient might be needed. For example, high blood pressure requires both magnesium and potassium supplements. Magnesium, calcium and vitamin D are needed to build and maintain strong bones. Hope this helps and wishing you lots of health! Hello,—I’ve had Osteoporosis for many years, I’m 70 now and my GP told me to take 1200 mg Calcium/day many years ago. I did and my Osteo became worse. I was also developing Atrial fibrillation, I had 9 sessions in 2017, which were occurring closer and closer together. The first three Afib sessions I went to the Emergency and they used the shock treatment on me. The last time it didn’t work so they gave me a medication IV drip which after some 4 hrs restored normal sinus rhythm. At that point a Cardiologist prescribed the two pills in a pocket that I could carry with me and take at the onset of a Afib attack. This would restore rhythm after 4-6 hrs usually, and I didn’t have to go and spend the night in the emerg. I find out after doing my own research that I’m deficient in Magnesium. I started taking “Concentrace” a complete Ionic Mineral and Trace Element Supplement, that is a liquid. Monnol brand. It contains 72 bioavailable ionic trace minerals, including magnesium. The liquid ionic form has a 99% absorption rate and you don’t have to worry about constipation. Ionic minerals are comprised of atoms or collections of atoms that possess an electric charge, either positive or negative. This electrical charge allows for the ionic minerals to flow from an area of higher concentration, such as the intestines, to an area of lesser concentration and into the cells of the body. Because ionic minerals are charged, the body is able to use less energy in order to move and absorb the particles. This allows the minerals to be absorbed with a greater efficacy, while fully utilizing the mineral. The product is concentrated desalinated inland sea water from the Great Salt Lake, Utah. The last thing you want to take for osteo is Bisphosphonate med (IV). That will just put a hard coating on the surface of your bones and stop the bone remodeling process. So now you have not only porous bones but also brittle bones and no new bone being made.—bones need to be flexible and ductile. A bone scan after this treatment shows denser bone, so they thing they fixed the problem. They only made it worse. This is my experience, maybe it can help someone else out there. Thank you for sharing your experience with us, Hank. I am sure it will help others looking for the best magnesium form for them. You were perceptive to realize that calcium alone does not make strong bones and teeth. Moreso than calcium, the body needs magnesium to get the calcium to where it needs to go: in bones. But choosing the right formula can be a difficult process since not everyone reacts the same way to same form of magnesium. It’s really a trial and error type of experience until you find the magnesium formula that works best for you. Ideally, there should be no diarrhea or constipation or other side effects. Additionally, when you find the right formulation, it should also reduce the frequency and intensity of muscle spasms, painful contractions (example: leg cramps at night, after exercise), numbness and tingling and pins and needles sensations. There should be benefits for the cardiovascular and nervous system too such as better blood pressure, improvement of arrhythmia such as extrasystoles (premature or extra heartbeat) or palpitations and better overall mood, less anxiety and improved sleep. Vitamins D and K and phosphorus are further required for building and maintaining a strong bone frame, but the exact intake may differ from person to person depending on the particularities of their osteoporosis and diet. You may be getting enough phosphorus from your diet alone if you eat high-protein foods such as meat, seafood, milk byproducts often. Vitamin K1 is found in abundance in green leafy vegetables while vitamin K2 is in milk and fermented milk products, especially cheese, buttermilk, soured milk, yogurt, butter, but also eggs and meat, especially liver and fish such as salmon or mackerel. Of course, vitamin D is from sun exposure and also liver, egg yolk and fatty fish and fish liver oil. Thank you again for sharing your experience and wishing you lots of health, Hank!